An exclusive interview with New Zealand rally driver Mike Young who is eyeing the Asia Pacific Rally Championship (APRC) Overall title this year. Young has been with the Japanese based Cusco Racing team since 2012. The Kiwi will be behind the wheel of an AP4 Spec Toyota Vitz Rally car for the 2018 season. The first round of the 2018 APRC started well with Young and co-driver Malcolm Read running 2nd overall before a steering problem, then a brush with a bank and overheated engine put them out of the event. 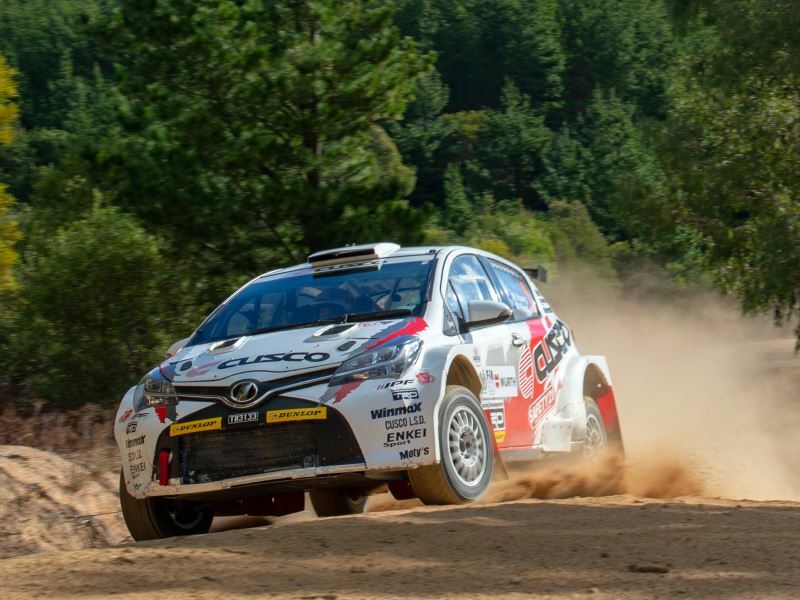 It was heartbreak again for Young at the National Capital Rally, Australia as he retired due to a clutch problem 10km before the finish of the rally. Mike Young is looking forward to the APRC Rally of Malaysia which is scheduled to take place on the 21st & 22nd of July 2018. He also mentions that Malaysia is one of the most challenging rallies on the calendar. The key to the title is going to be to finish the remaining four rallies in the top positions. What’s your favourite rally car of all time? Subura Impreza WRX STI from any year, they are all cool. Who is your favourite rally driver of all time? Did you get a chance to meet him? Possum Bourne, yes he once stayed at my house when I was young. I think he had recce the next day close to our home. The most difficult rally in your career and why? Malaysian Rally, extremely slippery when it rains. But still very challenging as there are deep ditches and palm trees on the edges of every corner. Also extremely hot! Your fellow countryman Hayden Paddon made it to WRC, did you ever get a chance to compete with him in any of the rallies? If yes, how did it go? Yes, recently at International Rally of Whangarei. We were second, just behind him, before we retired from the rally. What are your plans for the 2018 APRC? How different is your preparation this year compared to the previous ones? 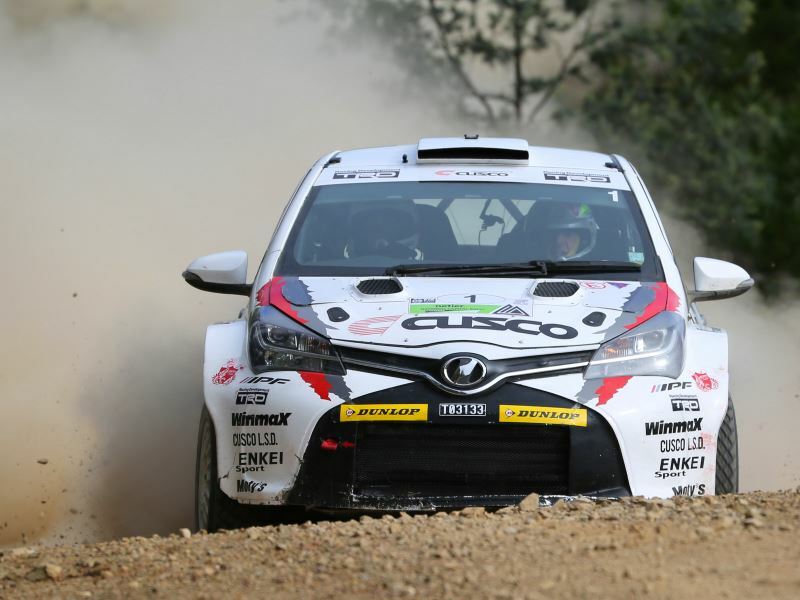 The plan this year is to develop the Toyota Vitz from Cusco Racing. We now also have tech support from TRD Japan, their role will be to look after the engine and gather data. The Toyota Vitz has a 2-liter engine, sequential gearbox, Evo 10 brakes and Cusco suspension. The preparation is still very important this year, more so than ever. I have stepped up the fitness to cope with the new car, as it’s more demanding on the body. I am also working on pace notes and video review more to fully prepare for the rallies. You previously won the APRC production cup championship, do you have a chance to compete for the overall APRC Title with your current car? Yes, I believe so, especially after the speed it showed in Whangarei. We have a chance if we can now finish all the events. How important is a co-driver in the sport of Rallying? It is very very important, having a good co-driver makes you go fast! A good co-driver can make you feel confident and calm which leads to you going faster. Malcolm’s (Malcolm Read- Mike’s Co-driver) mechanical skills add a very good dynamic to the car and he can fix the car if it breaks. Often he has kept us in the rally. I enjoyed driving the R2, it was a fun car to drive. It gave me a lot of driving satisfaction, I do believe it needs to have a stronger fuel tank as we put a hole in it both days. In terms of the team, I’m sure there is room for improvement. Especially with the organizing and logistics of running the event, but this comes with experience. The better this is, the better the rally runs for the team and drivers. You drove an Indian Polo R2 with an Indian team in 2017, how was your experience? Did the car and the crew meet your expectations or do you think they have to improve? How different is the Rallying in India compared to the rallies in New Zealand? How backward is the Indian Rally Championship compared to NZRC? They are both very different, I wouldn’t say the IRC is backward. But the New Zealand championship has better roads, higher quality cars, and crews. It is also very well run, everything is run on time and follows a schedule. This is not IRC’s fault, rallying is new in India and all it needs is better exposure which would lead to more money being put it. This would lead to better quality cars etc. The weirdest thing you noticed in India? Where should I start? Hmmm, I’d say the traffic conditions and driving skills are very different. In New Zealand, everything is very calm and easy. Your Favorite thing in India? The food! So good, lots of flavour! If you could bring about a change in rallying, what would it be? I would bring back a program like the Pirelli Star driver, this gave people who didn’t have funding a chance to rally in the WRC fully funded. Drivers like Ott Tanak and Hayden Paddon all had this chance. At the moment the 2018 APRC, but we are trying to do a European round this year. Let us wait and see. I would like another opportunity to come race in India as well. And finally, your tip for the upcoming rally drivers who are following your path? Take any advice you can from experienced drivers and build a good presence on social media.